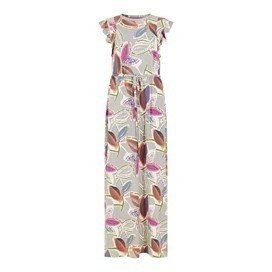 Say hello to summer with our new Equator quick dry printed jersey dress. This dress is the perfect choice for those humid days sightseeing. 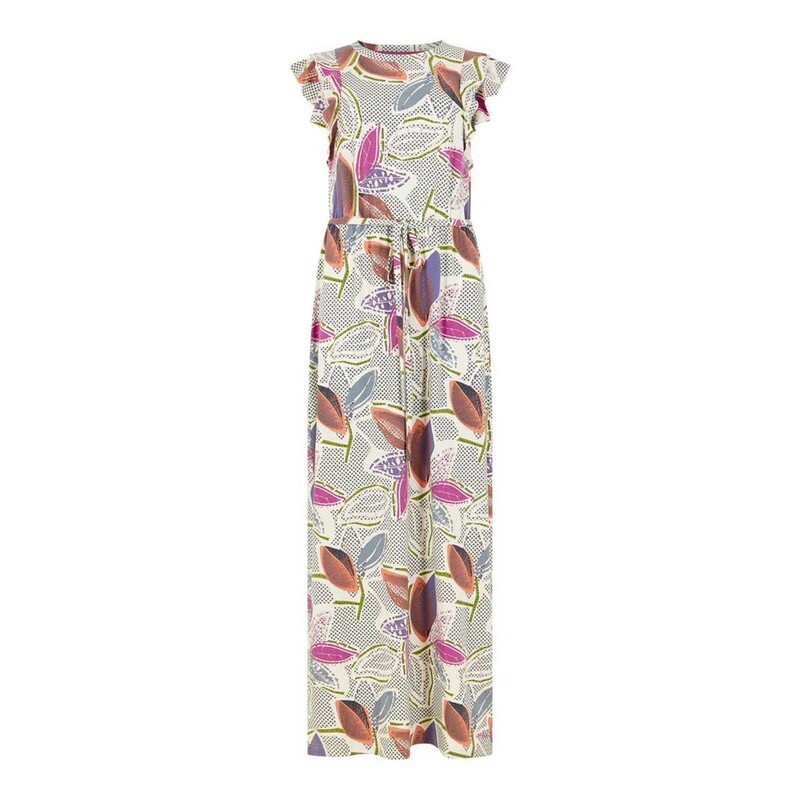 Keeping you cool and comfortable all day long, this dress is also the sensible summer choice thanks to the clever fabric that provides you with protection from UV rays and mosquito bites. Designed using stunning colours throughout, we've included a fabric belt tie designed to accentuate your waist and create a feminine shape that will fit and flatter any body shape. The smooth curved neckline and the pretty frill detail to the shoulders have also been added to make sure this dress can be worn for a casual day sightseeing, or dressed up for a meal with family and friends. With so many features all packed into one beautiful dress, you'll be happy you packed your equator quick dry maxi dress. Simply pair with your favourite sandals for an effortless way to achieve a stylish, summer look. Really pleased with this dress, already had a lot of nice comments about it. It also washes well and dries really quickly. Its perfect for this weather, very happy with my purchase. As described and fits like a glove thanks to the size guide assistance, light and airy fabric ideal summer attire. Had so many compliments about this dress, lovely quality, comfortable too.